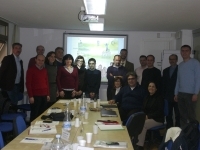 The article, produced by Portuguese and Italian academics, is a reflection on school violence, which may occur both at school as a result of external cultural, social and family pressures, and due to the operating structures and organization of the school community, which reflects on all who live and participate in it. Nevertheless, given that the form of violence to which the authors refer – that of institutional violence - is the least frequently referenced, the authors consider it essential to intervene at the level of initial teacher training. Since young teachers are constantly subjected to new pedagogical challenges and educational innovation, their training is of paramount importance. Bullying is also characterized by being a widely present phenomenon in most schools in the countries of the European community. It is considered a type of aggressive behavior with specific characteristics. The authors explore research and methodology by making particular mention to the "Olweus Questionnaire", considered to be the most often used tool to measure levels of bullying internationally. Percentages of bullying vary across countries due to social and environmental factors. To contribute to the reduction of bullying is that on the one hand, the authors argue for an operational definition of bullying and for decisions on how to act and what to teach. When identified as a social dimension of oppression and an individual dimension of power, bullying symbolizes the opposite of moral and ethical values in contemporary pluralistic and democratic society. The authors mention the Project Against Bullying, which is based on a socio-psychological perspective according to which bullying can be explained as the result of a social product. It is therefore not a problem of individual students, but rather the result of surrounding social interaction. The authors identify six different bullying behaviors: perpetrators, spectators, re-inforcers, victims, supporters and the curious. The latter constitute the majority and their behavior can indeed be important to improve the well-being of victims and perpetrators. The authors promote training projects to help teachers and educators not only to be become more aware of these issues, and to know how to act, since they will thus contribute to qualitative change in their own lives and that of students. This is a very interesting and useful article, targeted to a very specific target audience, the teachers. However, given its content and form, it also seems particularly useful for those that are responsible for educational institutions and for parents. It is conceptually a well-structured work, with the advantage of placing at teachers’ disposal of a wide range of suggestions to intervene in matters of violence and bullying in schools. The integrated systems approach to problems of violence and bullying, which understands them in their different dimensions: familial, educational, social, cultural and institutional, constitutes also, in our view, one of the strengths of the article. This comprehensive perspective brings several actors and responses together to solve and prevent bullying problems. To address bullying in school and of the school is a good opportunity to reflect on its aims and dynamics, as well as on its organization and way of operating. This is important to redefine the roles of all actors in school and in society, both current and prospective. It is therefore important to promote training projects that will make teachers and educators more aware of these issues, more conscious and more active as a means to contribute to a quality change in their own lives and those of their students. In such roles, teachers would be intellectuals for change who would cease to resist innovation and avoid seeking refuge in traditional methods. They would cease to be victims of unchanging truths and would be open to change and to pedagogical, organizational and social innovation.